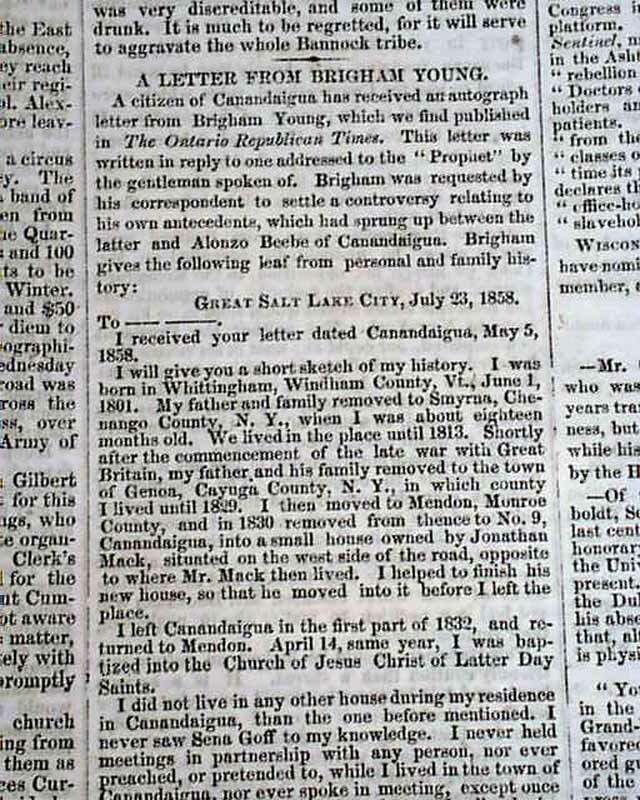 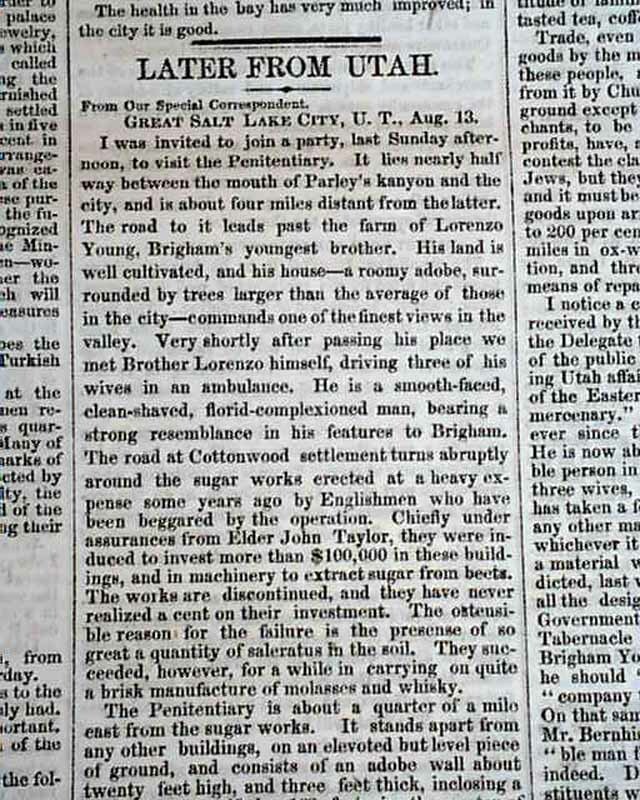 NEW YORK TRIBUNE, Sept. 14, 1858 Page 6 has some nice Mormon content with an article; "Later From Utah" mostly taken up with a letter datelined "Great Salt Lake City". 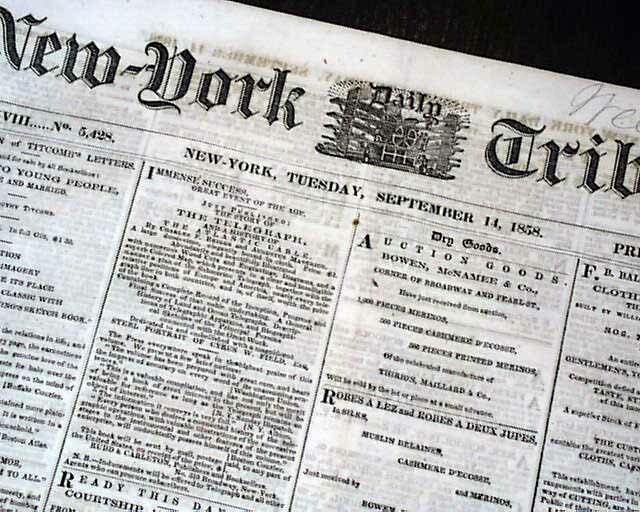 It discusses a visit to the penitentiary there as well as meeting Lorenzo Young, Brigham's youngest brother (see), and much more. 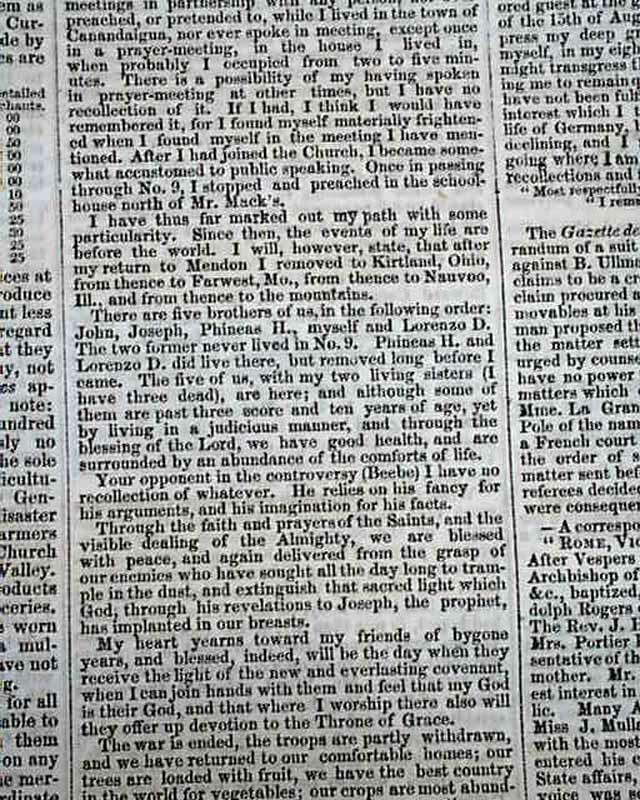 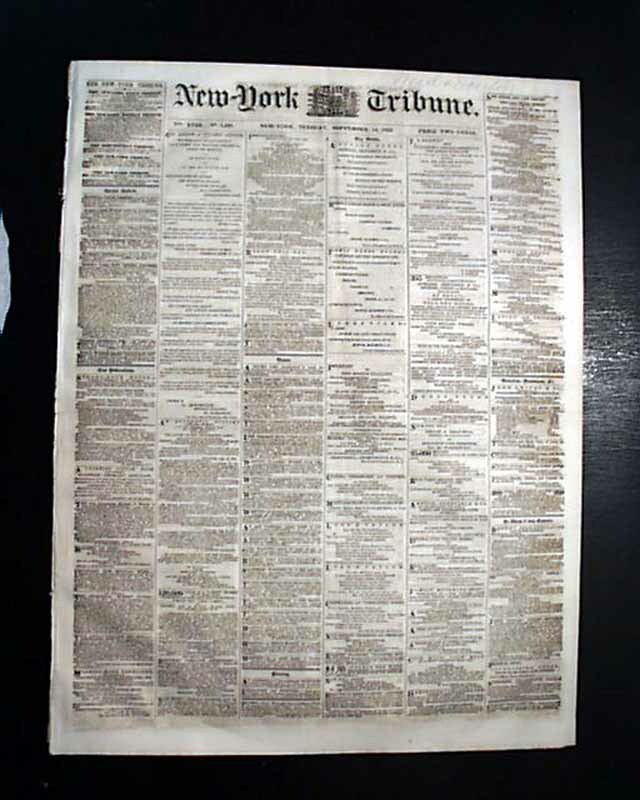 This takes over 1 1/2 columns & is followed by: "A Letter From Brigham Young" signed by him in type: Brigham Young.